What is the SCOUT Foundation (SF)? The SCOUT Foundation is an independent Trust established in 1987. Its mission is to secure, manage and generate funds for the financing of SCOUTS South Africa (SSA) its sole beneficiary. Who are the Trustees of the Scout Foundation? What does the Scout Foundation do? The SCOUT Foundation manages the SCOUTS South Africa Endowment Fund. The Endowment Fund is funded by donations and bequests. No withdrawals from the invested capital is permitted. 75% of the interest obtained from this capital is dispersed annually to SCOUTS South Africa. The remaining 25% of the interest is reinvested in the Endowment Fund. The Scout Foundation holds in trust all monies received from the disposal of SCOUTS South Africa’s fixed properties, wherever they may originate. The Capital proceeds realised are accounted for as a ‘Reserve Fund under Administration’ in the name of the individual Scout Group or other such unit having disposed of such fixed assets. Investment income not utilised is accrued to the capital balance of that reserve fund. 10% of the investment income is paid to the account of The Scout Foundation. 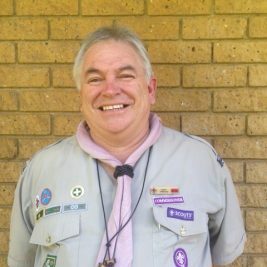 The Scout Foundation receives and invests funds bequeathed to SCOUTS South Africa. What is the SF endowment fund? The endowment fund is a sum of money that is invested to generate income. 75% of the interest in dispersed annually to SCOUTS South Africa and 25% of the interest is reinvested into the capital of the endowment fund. The SF endowment fund is used as a tool to enhance the financial sustainability of SCOUTS South Africa. It is one of many income sources for the NGO and aids in diversifying SSA’s funding base as it reduces reliance on other sources of funding alone. We believe in young people! At Scouts, we give our youth member’s skills and experiences that equip them for life’s challenges and help them to make a positive impact on communities. We help young people to get jobs, save lives and even change the world. Making a will is an important step to take when planning for the future. It makes it easier for family and friends to settle your affairs, and you know your loved ones will be looked after when you’re gone. You can make a difference to a young person by leaving a gift to Scouting in your will. Making a will ensures you are in complete control over the legacy you leave and gives you total confidence your finances will be directed according to your wishes. Legacies can be left to charities (completely free from inheritance tax) as a final gift from you. Gifts in wills give Scouts the financial security to plan and fund future initiatives to support the young people who need us. How do I leave a gift to Scouting in my will? Including The Scout Foundation in your will is easy to do. You can simply write the Foundation into your will, bequeathing us with your preferred legacy. If your will is already written, you amend it by adding a codicil to it. Codicil is a schedule or annexure to an existing will, made to supplement or amend an existing will. The Codicil form needs to be signed and witnessed in the same way as your will. The Codocil must then be kept in a safe place with your will. Bank: Nedbank Branch: Foreshore Cape Town Branch, Code: 108309 – Type: Current Account, Account Name: The Scout Foundation – Account number: 1083277502.